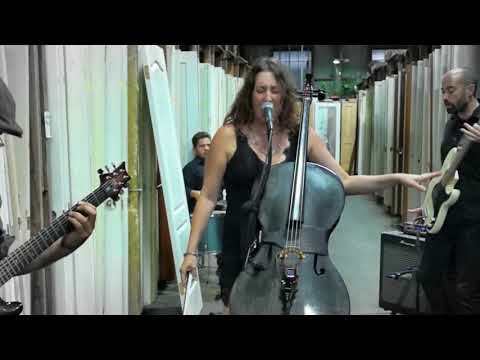 While there is a plethora of awesome cello rock bands, some are just better than others. This list is designed to let the fans of cello rock separate the absolute best cello rock artists and bands from all of the rest. Apocalyptica and Break of Reality are classic examples of the genre, but are they the top cell rock bands of all time? What is the best rock group with cellos? You make the call. This list of cello rock bands and rock cellists includes a filter so you can sort by the groups’s label and what albums they've put out. This list of the top cello rock groups in the world includes all musicians who have released songs that have gotten distribution, and is an up-to-date list. Cello rock groups and artists are shown below along with any additional genres in which their music belongs. If available, you can also see information about where all cello rock bands on this list got started. These are truly the greatest cello rock bands of all time, since the most famous cello rock artists ever are listed, and the order is decided by actual fans of the best cello rock music. The list you're viewing contains artists like Electric Light Orchestra and Rasputina. Vote up the best artists to see them rise to the top of the list. The list includes stuff like Ryan Tedder and Murder By Death, giving you a breadth of styles and genre. The list includes all new cello rock groups that make modern cello music. If there are any missing acts on the list, you can always add them yourself. This is already an accurate compilation of the best examples of cello rock, as well as a good place to start if you're asking yourself, or friends, exactly how to get into cello rock music. Especially since the bands at the top of the list will at the very least be the best choices if you're looking for a list of good cello rock bands that make the best cello music with a rock edge. These cool cello artists create a simultaneously contemporary and classical sound. They sometimes accomplish the blend by playing electric or by adding heavy metal elements to their cello playing. This list answers the questions "who are the best cello rock bands of all time?" and "who is the greatest rock cello artists ever?" If you know enough about the genre, please vote based on the quality of the band's music instead of just voting for the most popular cello rock bands that you might've heard of, but not really listened to closely enough to cast an informed vote.